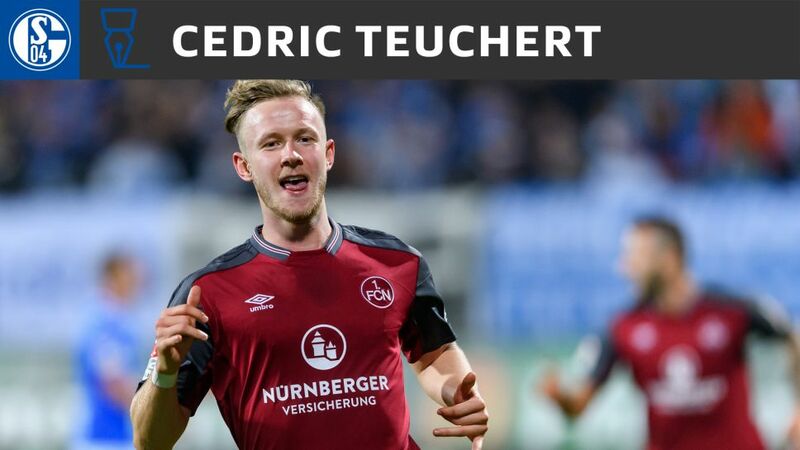 Schalke have completed the signing of Germany Under-21 international forward Cedric Teuchert on a three-and-a-half-year deal from Bundesliga 2 outfit Nuremberg. The 20-year-old will link up with his new teammates at their warm-weather training camp in the Spanish resort of Benidorm on Wednesday. "Cedric's a young and talented player, who's got a bold playing style and a nose for goal," said Schalke head coach Domenico Tedesco. "We want him to kick on with us and develop." Coburg-born Teuchert made his Bundesliga 2 debut in November 2014, at the age of 17. He totalled 41 appearances in the second tier for Nuremberg, scoring 11 goals and registering six assists. Teuchert has represented Germany at every youth level from the U-15s up.